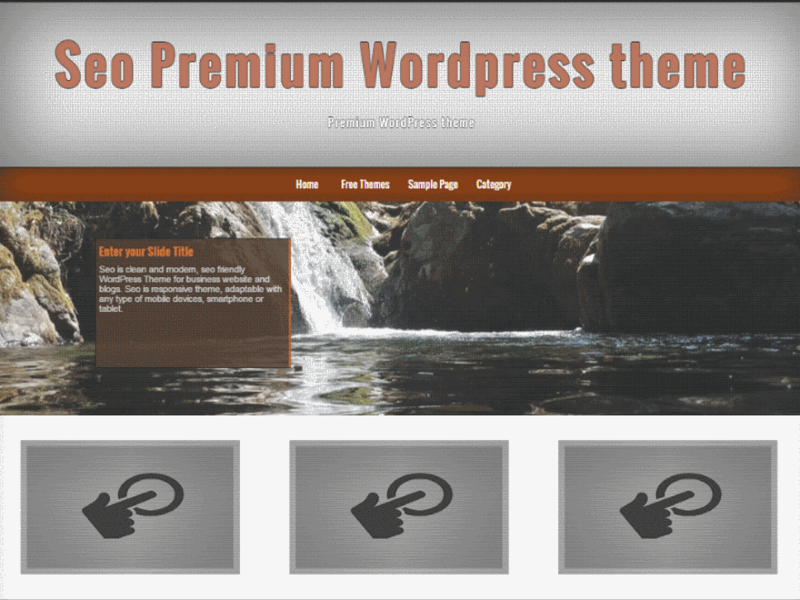 Seo is clean and modern, seo friendly WordPress Theme for business website and blogs. Seo is responsive theme, adaptable with any type of mobile devices, smartphone or tablet. The theme offers Widgetized Sidebar, Custom Post Types, Customize – Home Page Canonical URL, Custom Background Support, Custom Menu, Custom Colors, Dynamic Widgets, Home page Slide ( Responsive and Mobile Touch Friendly ), Shortcut Icon, Google Verification Code, Home Page Images. To learn more about the theme please go to the theme uri and read the documentation.